NEW! How to Register: You can now register anytime in classes where there is room! Our gym school season now runs from September until the end of June and you can pay monthly or in full! You do not need to re-register again for each term. We suggest a minimum 3 month commitment to allow children to progress effectively. Read our updated policies here before registering. You may cancel at any time with only 2 weeks notice! To login to your parent portal Click here To create a new account click Register beside the first class of your choice. Levels & Testing: Testing will be conducted 4x over the year, including summer. Children must be enrolled for a minimum of 8-10 weeks prior to testing weeks in order to be evaluated and receive a report. All others will receive a progress report. New! When your child advances past a level, they may enroll in a new level at any time in a class with room and at no charge! Testing Weeks are found on our calendar. See testing weeks here. Calling all dancers, gymnasts and cheerleaders! 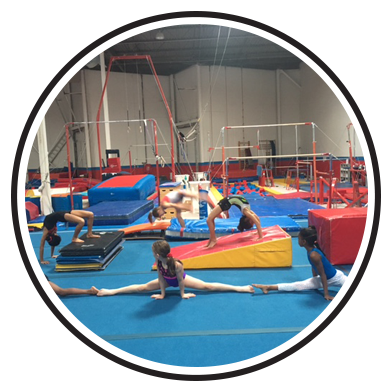 Enhance your child’s gymnastics, acro or cheer routines with an All Star Tumbling class! 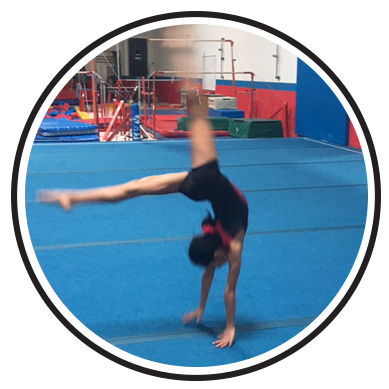 Increasing your child’s tumbling level will help with their overall gymnastics level, as it is the base for all other gymnastics events. Tumbling classes can help dancers to gain a solo opportunity, get noticed in a group number or ever be the star of the show! Trust us! Help your child learn correct techniques with qualified instructors, using safe equipment. Participants will benefit from matted spring floors, in ground trampolines and with covered foam cubes. At All Star, SAFETY is a priority! Out tumbling curriculum consists of warmup, complex, conditioning and skill development through drills and circuits or stations. All Star Tumbling has a proven progressive and highly successful 10 Level Flips System! Participants are tested 4x per year including the summer. Tumblers must be registered 8-10 weeks prior to each testing period to be evaluated. if not, they will receive a progress report. Participants let the instructor know what their goals are early on in the season or summer term and every effort will be made to help them achieve their goals! Learn to Flip! Make Friends! Build Confidence! This class is designed to help build a solid foundation for tumbling skills. 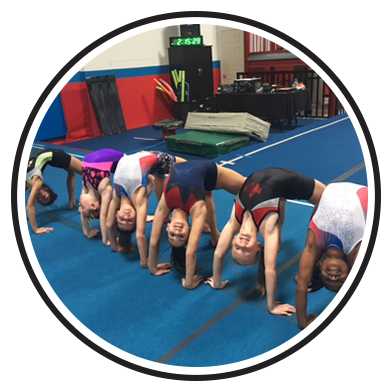 Tumblers will develop splits, and bridges for flexibility, build upper, core and lower body strength and learn handstands, cartwheels, beginning stages of walkovers and more! $35.00 per Person Membership Fee July 1, 2018 – June 30, 2019 will apply. Progressive tumbling increases in strength and flexibility exercises to facilitate developing skills such as roundoffs, front walkovers and back walkovers with good technique. Participants will need to fully support their body weight, use proper alignment and form beginning to prepare for more challenging skills to come. In this class, tumblers will learn the proper techniques for springing skills such as side aerials, roundoffs, back handsprings, front handsprings and more! It is imperative that the tumblers are both strong and flexible enough to support their body weight, in order to achieve these skills. 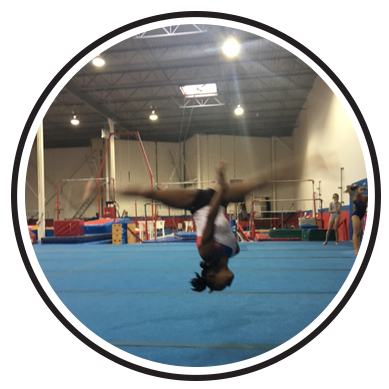 In this advanced class, tumblers will learn flips including round off back handsprings, front and back tucks, layout step outs, other side aerials, front aerials and other advanced tumbling skills and combinations. The format of this class is more intense and the conditioning will also be more demanding. Bring a strong work ethic! This will help the tumbler to increase their strength and flexibility, master advanced skills and prevent injuries. We recommend maintaining or increasing weekly classes especially over the summer months, to avoid long breaks and get a jump on the new season! $35.00 per Person Membership Fee July 1, 2018– June 30, 2019 will apply. We provide high quality gymnastics, trampoline and tumbling camps and classes in a safe, clean, healthy, positive and caring environment.